Our customers love their custom windows and all of the amazing light they let into their home. Natural light instantly makes any space more inviting and more appealing. Beyond the aesthetics of natural light, it comes with a host of benefits that many are not aware of. Fortunately, Entry Brite of Las Vegas is. Read on to discover some of these benefits, and then call us to have new custom windows installed in your home! Letting more natural light into your home is great for a lot of reasons, one of which is that it’s environmentally friendly. Using natural light reduces your dependency on fossil fuels since you’re not relying on electric lighting throughout the day. Given that Las Vegas is so sunny for so much of the year, you’ll never have to worry about the interior of your home getting enough lighting. Modern windows are also energy efficient, and having a series of windows in your home creates a cross draft that can keep your home cool during the hot summer months. You’ll reduce the amount of use your air conditioner gets during the summer. The UV rays in sunlight are natural disinfectants and work with you and your cleaning regimens to keep your home clean. Yes, natural sunlight can reduce the number of bacteria and mold that grows in most homes. These clusters of gross bacteria can lead to allergies or can aggravate the symptoms of those who already have them. Letting more light into your home can reduce all of these things and keep you happy and healthy while your home stays cleaner. Natural UV light is packed full of important vitamins, like vitamins B and D. This aids in your ability to concentrate on a task, can help maintain your energy levels throughout the day, and can even reduce the feelings of fatigue. When you let more sunlight into your home, you’ll feel better, and more productive, meaning that with custom windows from Entry Brite, you might even finish that 10,000 piece jigsaw puzzle you started last year. We’re all looking for ways to feel happier throughout the day. While money can’t buy happiness, they can get you some new custom windows. Studies have shown that natural light can help to alleviate the feelings of depression, overcome a sense of isolation, and ease the notions of loneliness. Not only that, but the windows in your home allow you to look outside and into nature, even if it’s your backyard. Regular exposure to the natural environment has been shown to reduce stress levels, just by peering out of your bedroom window. It should be clear by now that letting more natural light into your home is obviously a smart move for you and your home. 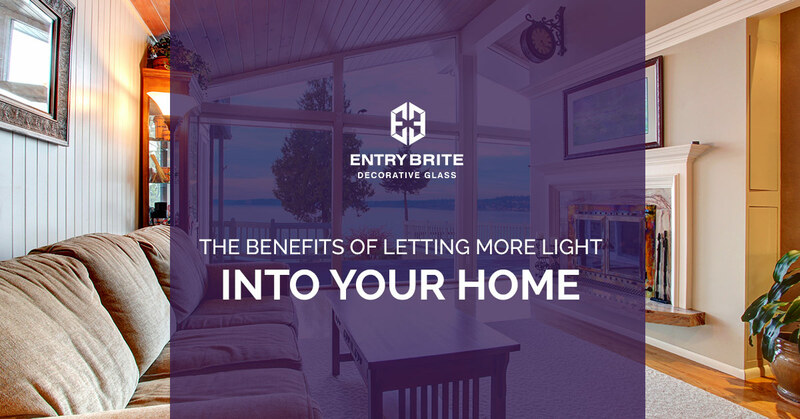 If you’re ready to have custom windows installed in your Las Vegas home, make sure to contact Entry Brite today!